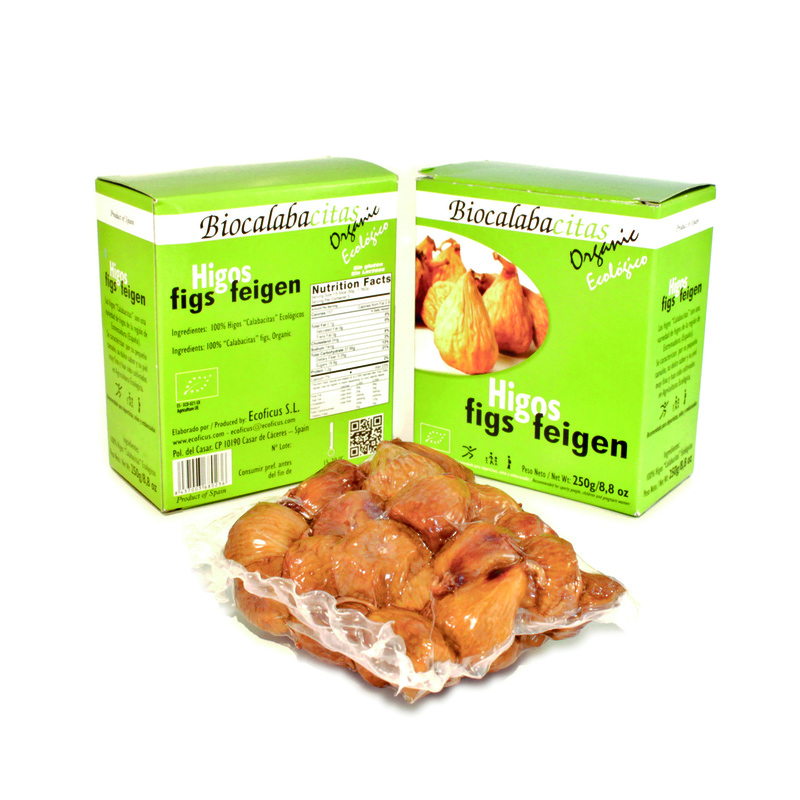 The dried figs is a fruit rich in complex carbohydrates, source of iron and high in dietary fiber, potassium, magnesium and calcium.Our variety of figs, called "Calabacita" is characterized by its thin skin, honey color and sweet flavor. The “Calabacita” is a Spanish variety of dried figs that can be eaten alone or in a big range of pairings. Ideal stuffed with nuts, raisins or almonds. Handpicked one by one in our organic farms.